Is your home the best dressed this holiday season? 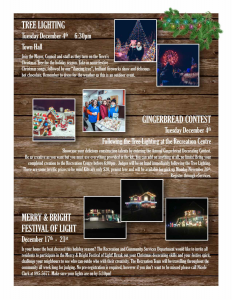 The Recreation and Community Services Department would like to invite all residents to participate in the Merry & Bright Festival of Light! 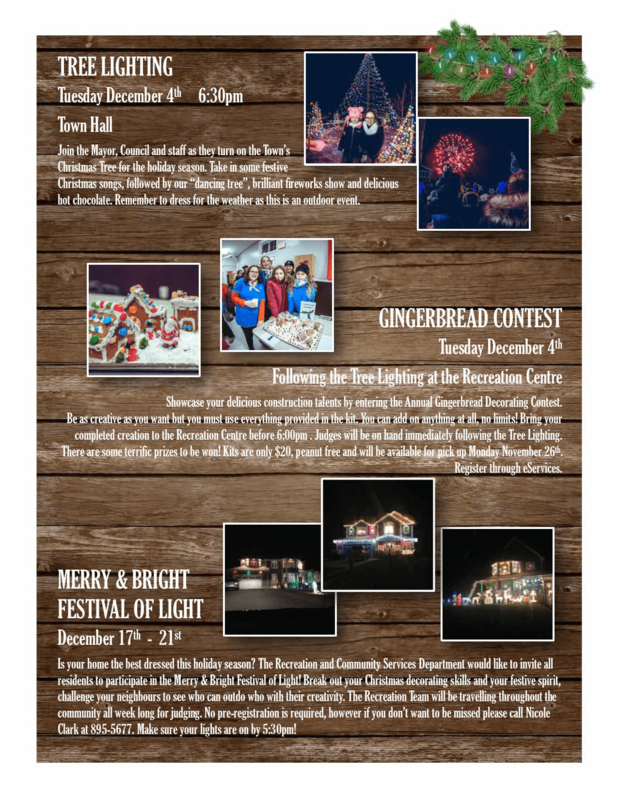 Break out your Christmas decorating skills and your festive spirit, challenge your neighbours to see who can outdo who with their creativity. 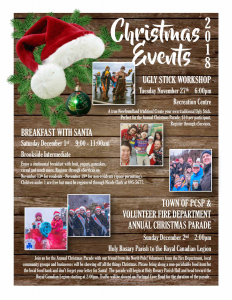 The Recreation Team will be travelling throughout the community all week long for judging. No pre-registration is required, however if you don’t want to be missed please call Nicole Clark at 895-5677.